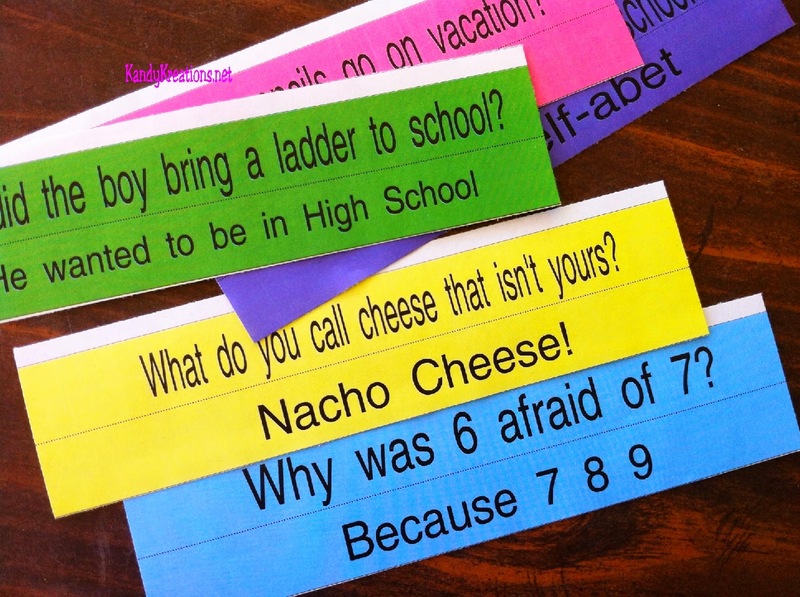 Make memories with your family with these fun Joke Napkin Ring printables. 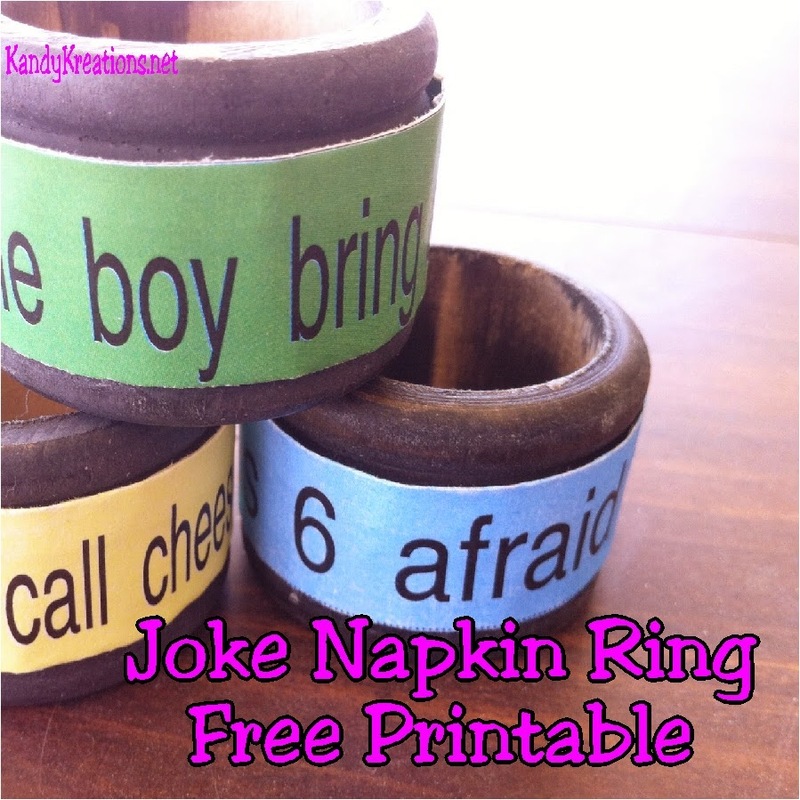 Your family will be joking around the dinner table using this free printable and some old napkin rings. I love the start of a new month. It seems you can start over and their are all kinds of possibilities and goals that can be set and achieved. But I'm not a fan of April Fools day. As much as I love most holidays, having kids that get mad and upset when they get embarrassed isn't much fun to me. The boys love to play jokes on each other, but it has a tendency to go too far and then we all get upset. But we do love to joke and have a good time in our house. Most of our dinner table is filled with creating family jokes and lots of laughter. That I love. 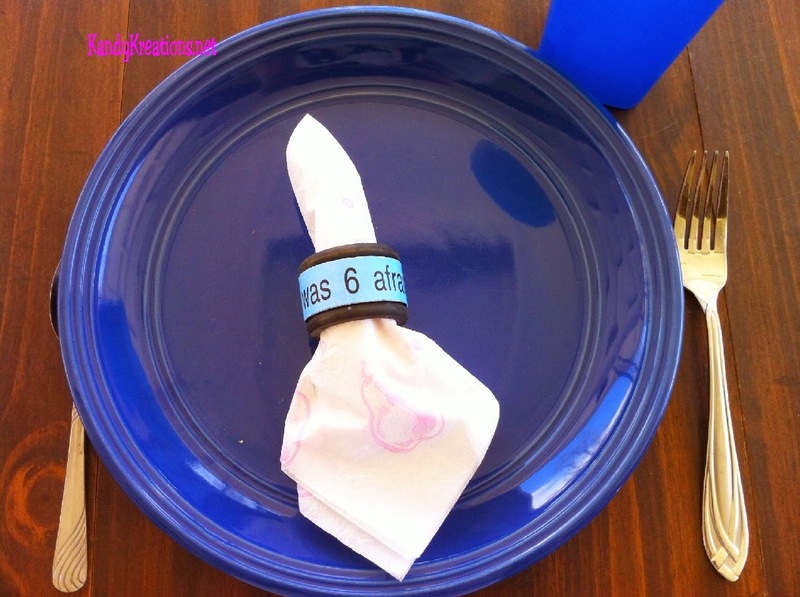 In case you're like me and want a smiles at the dinner table and not crazy jokes, I made some fun Joke napkin rings that you can print and surprise your kids with tonight. They are pretty simple both to make and to laugh at. 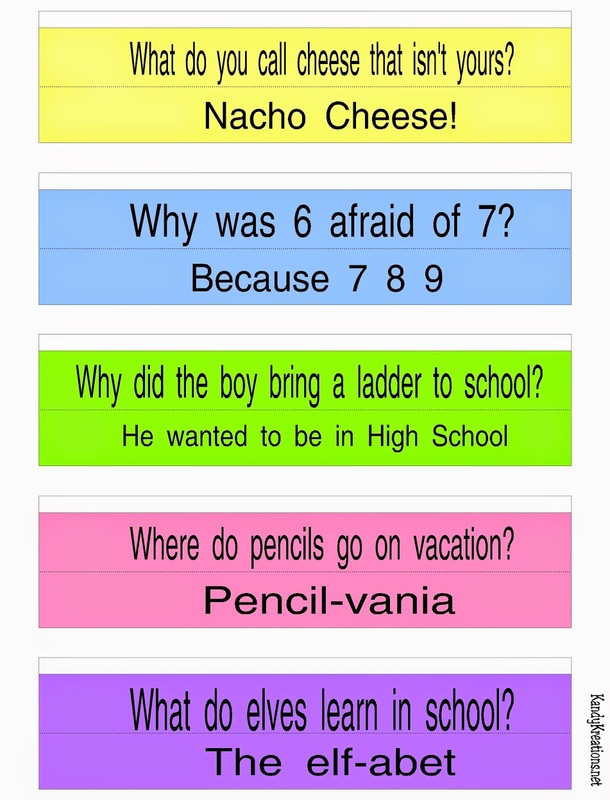 Start by printing the joke printables at the bottom of the page and cut them out along the outer edge of each napkin ring. 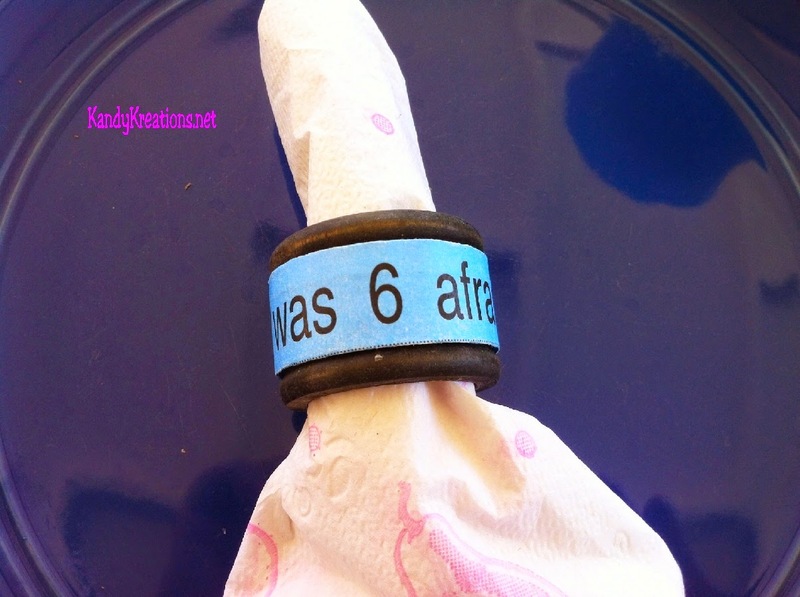 I made mine to go around these napkin rings that I purchased at Hobby Lobby a long time ago, but you can just place them around regular napkins, so just go ahead and wing it as you need. The joke ring has three parts to each print. You'll have the front, the back, and then the fold. 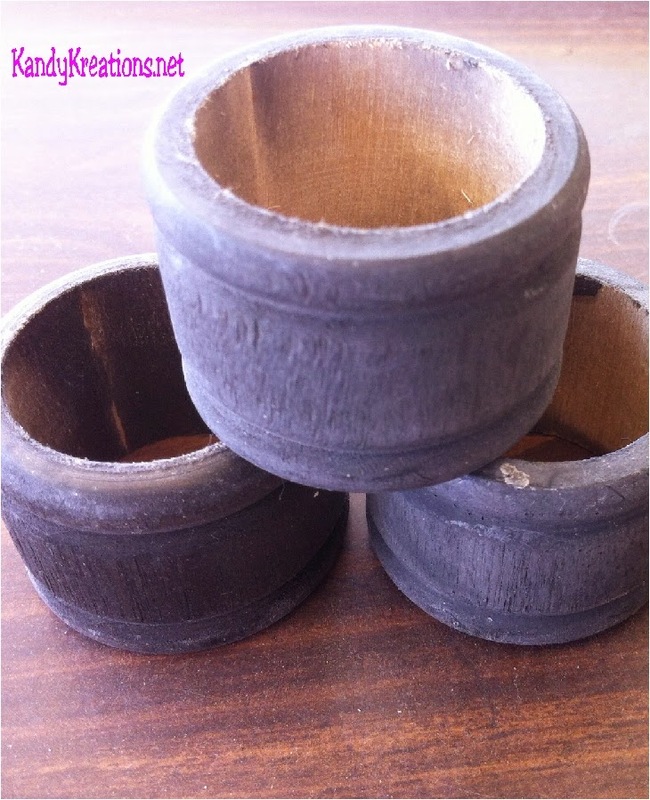 Wrap your joke around your napkin or napkin ring and serve with your dinner. If you need some dinner time conversation, you can have each diner read the joke and everyone can try and answer. 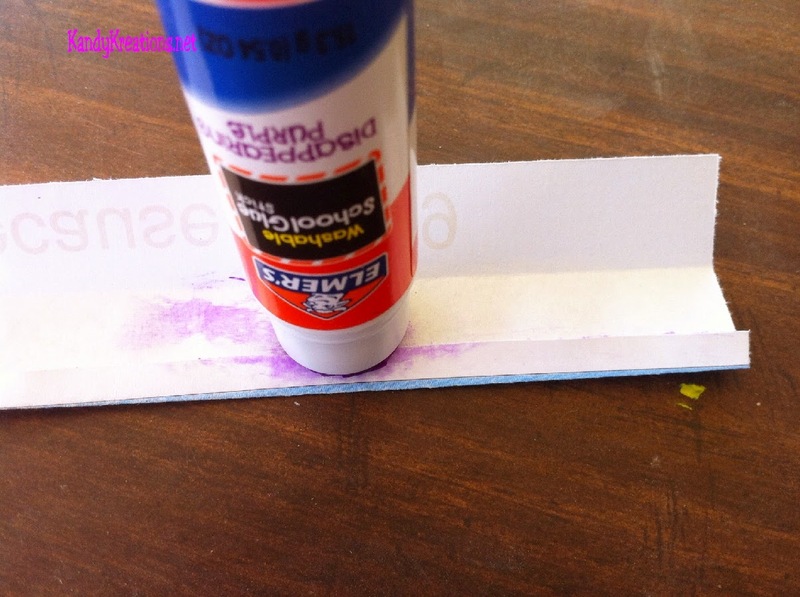 It's a simple and easy way to add a family memory moment to your day!